By MARANATHA BROADCASTING COMPANY, INC. 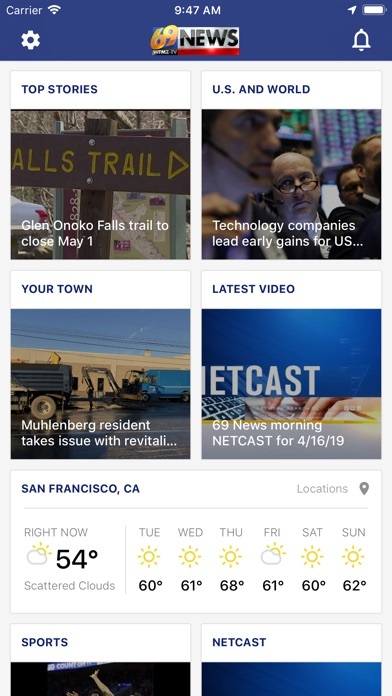 Developer: MARANATHA BROADCASTING COMPANY, INC.
Can no longer use this app to check news at work since the video auto plays when you click news. Completely unexpectable. Your even wasting people’s data with your forced play videos. I used to read the news via the WFMZ app multiple times per day. A recent update now has ads on the bottom of the screen which are very annoying and distracting. I plan to delete the app if I don’t see a change within the next few days. I tried to X-out of the ads so I could focus on the news and was repeatedly sent to other screens for the ads. Very disappointing, WFMZ. I hate auto stream loading. It wastes my data which costs money. I urge all to stay away from the app and use a browser. Deleting from my device. Watch morning and night from Daytona Beach Fl to keep up with the LV. Thanks!! Thank you for this great app .That keep me informed of everything that happened local and worldwide! Gets me what I want immediately. Not sure why there is no Apple TV App. Bad marketing and technology plan for customers who do not have cable. I used to like to use channel 69 news app for school delays and closings, but now i hate it. There are ads printed over some of the listings. Why do you need ads everywhere on the app. SO ANNOYING!!!! I have now deleted the app!! Now the sound advertising automatically starts every couple of minutes, what is this??? I will never use an App the randomly starts blaring out sound ads! Everything must get better and faster. Traffic updates and alerts need to be more spot on!!! By something to talk about. Your weather forecasting is really lacking. Seriously lacking. Was so much better few years ago ! Lose the annoying Diamond Federal Credit Union ad that automatically opens and plays when you click on a story. It’s unnecessary and drives me away from using the app. I always use my 69 mews app and storm center to see what’s going on in the area!! Love it!! Love the wfmz apps, but wish there was a way to have the alerts more localized. I’m from the Greater Lehigh Valley, and get annoyed with all the Reading alerts I get. No offense, but I don’t really care about any ‘local’ news, outside the Northampton & Warren County Areas. I wish I could only get alerts from that tightened circle. I would like to make this my preferred station. Not at the present time. Need to expand the coverage for important news. I would rather not get alerts as often as I do for areas I do not know anything about. I wish I could pinpoint that information to my interests. Living in the Reading area, I do not wish to see so much from Allentown filter through to me. I grew up in Allentown and watched WFMZ since day one on air. Moving to other areas including the Slate Belt and beyond I am able to stay abreast of news, weather and traffic. Watching WFMZ grow to its present status including your new studio from the PPL Center shows the compassion and credibility they have for all. Many years ago while at MusikFest I suggested weekend coverage. Today WFMZ is on everyday from morning to late night. Bringing the news to the Lehigh Valley and Berks County and Beyond. The Accuweather Channel is a valuable tool dedicated to keeping viewers abreast of pending weather conditions. Working various schedules at work I am able to stay up to date 24/7 using the apps. Thank you WFMZ for everything you do for all of us. Whenever I am traveling I can always count on news from my hometown area! The 3 weathermen are doing a great job! Keep up the good work!!! I look forward to watching the weather, these guys are really good! Shirley from Leesport! I like being able to see what’s happening in the valley. But often I am reading the same story’s on Sunday morning as I read on Saturday. Think weekend stories or news needs to be updated on a more frequent time basis. Thank you. Dan from Allentown. Only local news station for Reading so I check it out. News is general. No street beat reporting. Seems like no one wants to get down to it. Needs excitement. The pop up advertising is annoying and no search to find a story or news article. Other then that good app. This app has improved immensely since they separated the local,national and sports from the BS news and nonsense of the entertainment scuz. I am no longer exposed to that dreck. I’ve gone from one star to four. That’s saying something. You’re able to read headlines and gather the facts quickly. If you want to know more, it’s right there for you. When the app opens you get a pop up at the bottom of the page that never closes. I had an issue with the app crashing when I tried to open stories from notifications. Since the update I haven’t had a problem. Just need larger darker print for Vision. Happy thank you. The old format was much better. What are all these boxes? Plus, our daycare is never listed as an option for school closings. AND...the worst is that I get bombarded with stupid alerts about every news story even though I’ve turned them off!! I will sporadically have a male voice come on my phone saying “Station Alerts!” And then a bar will show up with a blurb about the weather. I see no way to turn off the sound for this and it scares the crap out of me every time it happens. I’m giving this one star because it pops up. Other than that I am not impressed. The weather closing updates come up 10 at a time. No more picking your favorites. The change button to show all entries doesn’t work. Where is the traffic map? Shouldn’t need to download separate apps for traffic, weather, entertainment and news. 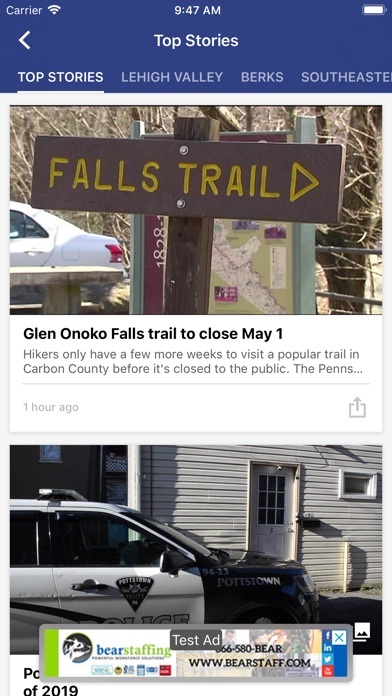 It was nice having a local news app with everything I was looking for but all the updates are not necessarily good. Thumbs down! 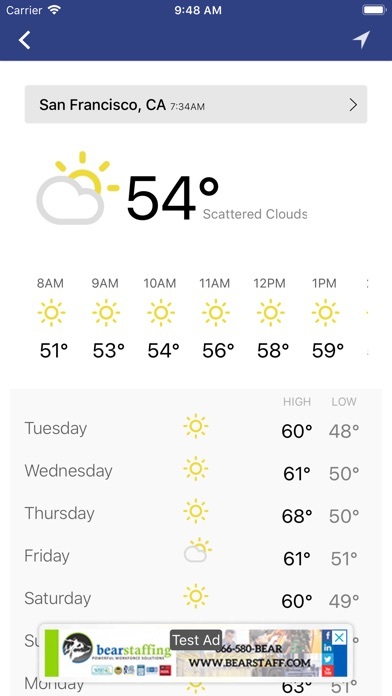 I used to love this app... now it’s hard to navigate to find stories and I can’t find the live weather forecast which is why I use it 90% of the time. It is an awful app... I might as well delete it and look for a better one. You made this app worse the same way you made your weather app worse a year ago. I’m not spending as much time on either app anymore. Why did you feel the need to change it? No search button, no sports page, no customization of homepage...no thanks. I find the app crashes very often especially for breaking news. New format just plain stinks! This knew update is completely awful! This new format is not good. It’s hard to navigate to find the news I’m looking for. I liked just being able to scroll and now I have to tap and swipe and scroll just to find that I’m not in the right place anyway. Why did you change it to this stupid layout. This idea was idiotic like the Reading Eagle doing a City Edition. The previous app revision was so bad I abandon it. After this newest update it is cleaner and simpler to use. I only wish they would get ride of the huge ad in the middle and put the weather in place and move the ad down. Great improvement from the last. 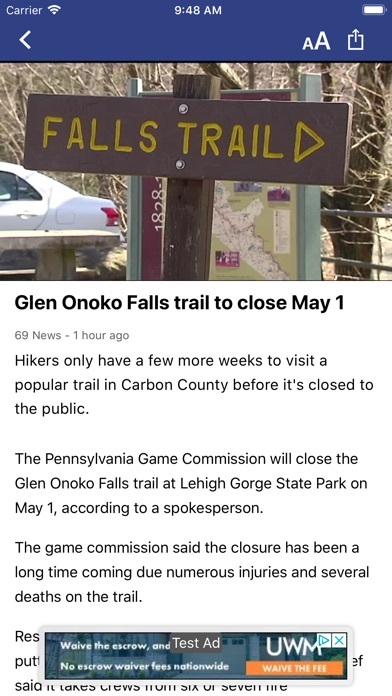 Great app to get my local news!!! Horrible. What was wrong with just fixing the defects in the old one and not giving us a stupid new look? Deleting it now.